Moving can be stressful. Even when it’s just yourself or your family, you have considerably less to keep track of than when you’re overseeing the movement of tens or hundreds of employees when moving offices. Regardless of whether you’re a small start-up or an enterprise-level corporation, getting your office ready to move with our team of experts is much easier than without! While we are big fans of moving checklists, assembling one for your office’s big move is considerably more work. 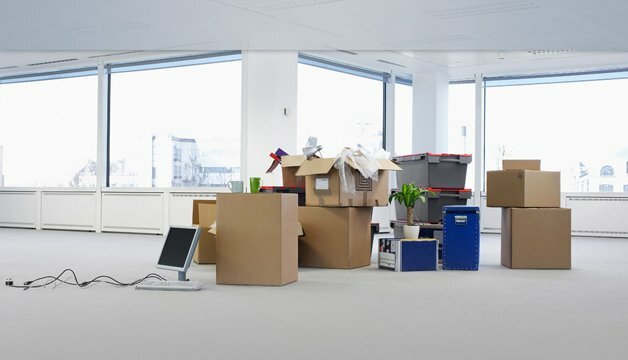 Choosing an office moving company in Chicago may seem like an obvious first step, but it’s just one of 5 others that will make your next office a stress-free process. Before making any preparations, make sure you complete each of the following items. While you may have a deadline your office move needs to be completed by, knowing your essential dates from the start will make the rest of the process much simpler. Chances are you know when you need to move, so start from there and set deadlines for when the below steps need to be completed. Consider creating a calendar for your employees so they know when their desks and equipment will be moved and give them a similar timeline to follow to make the move easy for everyone. When booking a moving company, you need to know two things: the timeline for the move and your designated budget. If you are in charge of organizing your office’s move, put together a sheet of the different Chicago office movers so choosing your moving company is a no-brainer for your company’s decision maker. Estimate every additional cost you can think of, from any overtime wages you’ll need to pay staff to potential fees your new office building might impose for moving after hours. It’ll help in the long run. When selecting a new office to rent, it helps to work with a seasoned property broker who knows all the best available spaces and can negotiate the best possible lease. After you’ve signed the lease, you’ll next want to consult your broker as she or he will have a lot of the essential information you need to establish your timeline and budget, such as the hours in which you can move, available days, and any particular details that are special to your new office location. Whether you’re moving apartments or office buildings, changing locations is always an ideal time for taking stock of what you have and giving those items you no longer need, like that Gilmore Girls DVD set you lent to your coworker, to a local charity. When it comes to moving offices, you need to keep tracks of thousands of different items. Break up your list by categories and sections of the building and assign a team to help you take stock of what needs to be moved and what can be replaced to given away. Additionally, your IT infrastructure can often be a job unto itself. Consult with your sales agreements and contracts and recommission your servers, telephones, and computers for the new office space. The last thing you want is to fail to set up your network by the day you’ve set to get back to work. It’s easy for some companies to lose track of their spending when moving offices and one common area is forgetting to meet all the stipulations of your original lease. So make you have a team in place to fix any damages to the property that aren’t covered in the rental agreement and ensure that no money is wasted in the process. By following the above steps, you can guarantee (or come close as possible) an easy office move for all of your employees!